After around 2,070 miles, we finally made it! We got up bright and early this morning in Richfield, UT, and hit the road. We made it to Las Vegas by lunchtime and had the buffet at Treasure Island. 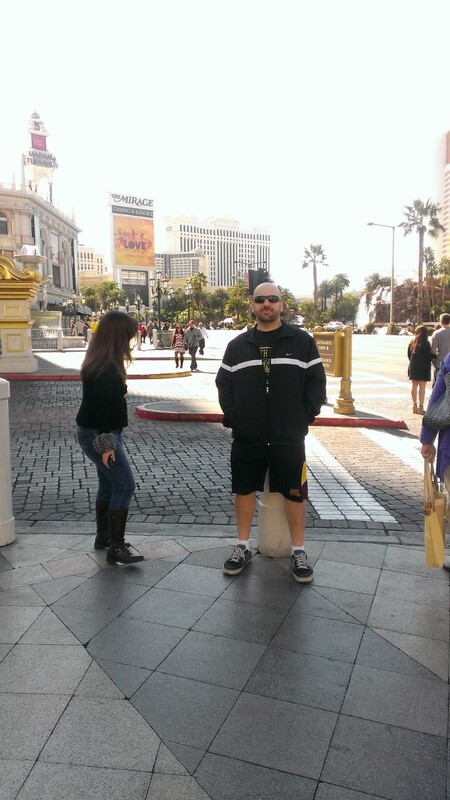 We spent a little bit of time just walking around The Strip and enjoying the sun and the warmth. We walked over to The Venetian so Calvin could see the gondolas paddling around in the river inside the hotel! He thought that was pretty cool! The drive from Las Vegas to Disneyland didn’t go quite as smoothly as we had planned. After days of open roads, we hit some nasty traffic on I-15 headed to Los Angeles. So with stops and everything, the drive that should’ve been four hours or so was more like seven! But we’re safe and sound at the Annabella Hotel right across the street from Disneyland ready to hit it tomorrow. When asked what his favorite thing from today was, Calvin told us it was his own room at the hotel!